There is one phone which has created some buzz in the smartphone market, because of its popping camera. Yes, we are talking about Vivo V15. Vivo V15 is on sale since 1st of April and will be exclusively available on both, Flipkart and Amazon. We have seen the promos of the phone on television, and its popping camera has really made us curious. Smartphone users definitely would want to know how this works, and how good is the camera of this phone. Vivo has been always known for refined features and elegant design. They have continued the same Vivo V15. The phone has definitely a lot more than its camera. It has got powerful specifications and good build quality. 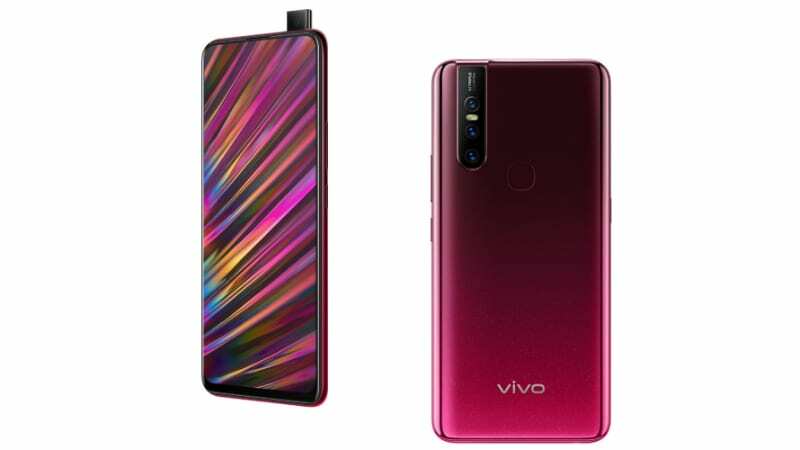 Vivo even though not considered as part of top brands, and yet it has never disappointed its users. So, if you are the one who is looking to buy Vivo V15, first know that what are the launch offers for you. Vivo V15 is available in two variants, Vivo V15, and Vivo V15 Pro. Both of these variants will be available on Flipkart and Amazon. They will be available in the offline stores as well. Vivo V15 is priced at Rs.23,990 in India. It will be launched in two distinct colors, that is Frozen Black and Glamour Red. As part of launch offer, Vivo offers one-time screen replacement of Vivo V15. So, if there is any damage on the screen, then Vivo is going to replace the screen without any cost. If you are aware, the screen replacement is not covered under normal warranty. Rather, most mobile phone companies offer accidental protection plan. On some occasions, the accidental protection plan is also provided the online sellers such as Flipkart or Amazon, or even by offline stores such as Reliance Digital or Croma. In fact, Reliance Digital provide RESQ, which is just like an accidental damage protection plan. But these plans often come for a premium price. Vivo’ s offer is free of cost, and one-time screen replacement could be done without paying any price. Apart from this, Vivo also offers 15-month no-cost EMI option. So, own your favorite phone, on easy installments. Hence, you don’t need to worry about the heavy initial cost, which is going to burn your pocket. Rather, enjoy your Vivo V15, and pay in monthly installments. However, we still didn’t know which are the banks that are going to participate in this offer. Also, there is an exchange offer of Rs. 2000 off on the phone. If you are buying the phone from Flipkart, and you have an Axis bank card, then you are entitled to an additional 10 percent off. It doesn’t end here, if you are a Jio user then you are entitled to 3.3 TB 4G data on purchase of this phone. That is a lot of data, and we are sure that it will easily last for a year, even though you are making heavy downloads or watching HD YouTube videos. So, all we can say is that it’s raining offers for Vivo V15. And, if you were looking up to this phone then definitely you can avail these offers. Definitely, you should not be buying this phone only for offers. It has got good specifications as well. The Vivo V15 phone comes with octa-core MediaTek Helios P70 processor. It has got 6GB of internal memory. The phone has got, quite a large screen, as it comes with the screen size of 6.53 inch, with HD+ display. It is going to have an aspect ratio of 19:5:9, with a resolution of 1080 X 2340 pixels. The display is quite impressive. During the demonstration from Vivo, we found that V15 has a sharp display with the perfect color combination. The phone has 64 GB of storage and will be shipped with the latest version of Android, that is Android Pie or Android 9.0. Vivo is going to provide FunTouch layer on top of Android, which is Vivo’s own UI. From the sources, we have learned that FunTouch OS 9.0 will be installed on top of Android Pie in Vivo V15. Only a few days back FunTouch 9.0 was announced by Vivo, which has got some rich features for the users. It has got some heavy customizations, which is going to improve the user experience. The icons are rounded now, in order to fit in better in FullView display. There are new stock apps, along with the new set of wallpapers. The best part is, with the new version of FunTouch, Vivo has introduced dark mode. Apart from that, we have got some new eye candy transitions. It also comes with an Always-On Display Mode. However, definitely, it is going to drain out your battery. The UX is completely revamped. Vivo V15 has got a micro SD card slot, which can be used for expanding the memory up to 256 GB. Vivo V15 has got an impressive camera setup, it comes with a triple camera setup at the rear. The triple camera setup is made up of 12MP + 5MP + 8MP sensors, with f/1.78 aperture, f/2.4 and f 2.2 aperture respectively. Undoubtedly it is one of best camera setup when it comes to rear camera photography. Now let’s come to the front camera, which has been already in discussions in many forums and also serves as a key attraction for the users. It has got a 32 MP popup selfie camera that is equipped with a Samsung ISOCELL GD1 sensor. Already we can sense that the selfie camera is going to be quite powerful with 32 MP. V15 will have 4000 mAH battery, with dual engine fast charging. We can say that V15 offers premium features at an affordable cost. Specifically, the front and the rear camera are the deal in this price tag. Always check for the best mobile phone online offers, when you are looking to buy your favorite phone. If you are looking to buy Vivo V15 at the best price, look for online offers on mobile.